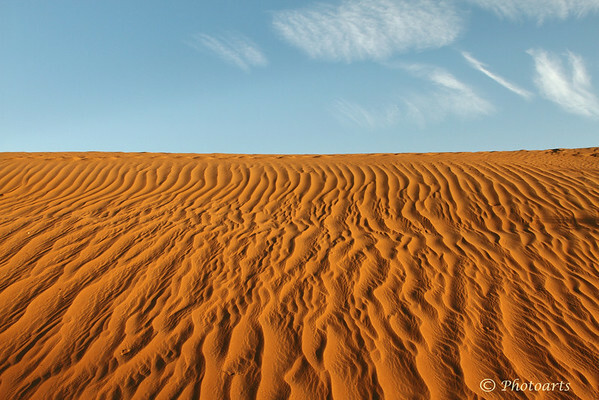 "Sand Ripples to the Sky"
Early morning sun rays light up the ripples on a sand hill in remote UAE desert. Wonderful desertscape ! Such fantastis and colours in the sand !! Looks superb against the blue of the sky !! Very nice composition and exposure ! Nice pristine color and lines. Wonderful shot! I love the color and textures.